The nominees for the 83rd Annual Drama League Awards were announced at world famous Sardi's Restaurant on Wednesday, April 19, 2017 by Bebe Neuwirth and Patina Miller. 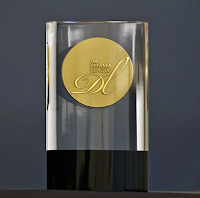 The Drama League Award winners will be announced on Friday May 19, 2017 the Marriott Marquis Times Square in the Broadway Ballroom. The ceremony will be hosted by Audra McDonald and Will Swenson. Former HOLA Award honoree John Leguizamo, shown at left, is nominated in the Distinguished Performance Award, an award that can only be received once in a performer's career. 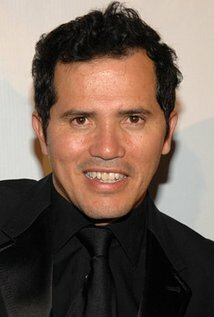 Leguizamo was recognized for his work as writer-performer of his solo show Latin History for Morons, currently playing at The Public Theater. Paola Lázaro-Muñoz's play Tell Héctor I Miss Him (directed by David Mendizábal and produced by the Atlantic Theatre Company), which starred former HOLA Award honorees Selenis Leyva and Dascha Polanco, was nominated for Outstanding Production of a Broadway or Off-Broadway Play. Among the nominees it faces is Sweat, the Pulitzer Prize-winning play by Lynn Nottage, which co-stars Carlo Albán and is currently playing on Broadway at Studio 54. The Manhattan Theatre Club revival of August Wilson's Jitney, helmed by Rubén Santiago-Hudson, picked up an Outstanding Revival of a Broadway or Off-Broadway Play nomination. First awarded in 1922 and formalized in 1935, the Drama League Awards are the oldest theatrical honors in America. They are the only major theatrical awards chosen by the ENTIRE theatre community– specifically, by the thousands of Drama League members nationwide who attend Broadway and off-Broadway productions. They recognize work in five competitive categories, including Distinguished Play, Distinguished Revival of a Play, Distinguished Musical, Distinguished Revival of a Musical, and Distinguished Performance. For more information on the Drama League Awards, including a complete list of this year's nominees, click here or here.